The foremost tip is to keep your surroundings clean and welcoming. A tenant once impressed with the outdoor looks might make an appointment to view the inside. A coat of paint or keeping a bunch of plants around will make your property look attractive. The front door is the first thing a tenant notices as he/she enters the house. Hence, a new or improved front door will give a fresh look to the house. 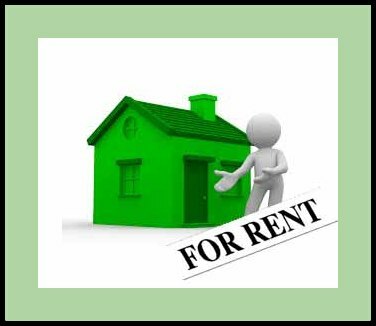 Once the tenant is impressed with the outdoor looks, they will then examine the interiors of the rental property. You as the owner must keep the house as maintained as you would want your ideal house to be. Applying a fresh coat of paint will make the property look new and clean enough to live in. This adds brightness to the interior of your rental unit. Especially focus on the kitchen and bathroom cabinets. Making the kitchen and bathrooms more attractive will decrease the vacancy period of your rental property. These days everyone wants a rental property with a gas pipeline. Most of us have switched from cylinders to gas pipeline so the tenant would also be looking for the same. No one wants to spend their time changing the cylinders after every 20 days. So you must get a pipeline installed before looking out for a potential tenant. Your doors and windows should be in a good condition. Broken window panes or tainted doors will keep the tenants away from signing the deal. Invite the tenants only after getting the windows painted and the doors repaired. A management company will keep your property in shape and will have the expertise to keep the property in an ideal condition for renting out. They will also be there after the tenant shifts in and will take care of all the day to day management that you would have to worry about otherwise. The bottom line is, the more attractive your rental property is the more tenants you’ll get to choose from. Keeping your property well-polished simply reflects your credibility and will surely yield you a higher rent. . For help in the above as well as managing your property, contact us at info@crem.co.in for a customized solution and a hassle free relationship.